If you take trips to and from your local supermarket to stock up on nourishing food and tasty treats for your beloved pet, you’ll also notice other pet owners examining not only the price label but also the nutritional information. Weighing up the pros and cons of buying supermarket standard pet food can be daunting, and may often leave many pet owners confused and wondering if there’s a better way. It’s quite common for pet owners to buy both nourishing and affordable pet food from the comfort of their own home via the Internet. There are several online resources available to health-conscious pet owners, with surprisingly inexpensive prices on well respected and reputable brands. Let’s skip back to the supermarket for a second. All the mainstream foods are there for both cats and dogs, and while this is convenient, what your pet’s diet needs isn’t necessarily what’s on offer. 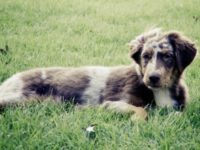 Whether you’re seeking a dietary plan for special health considerations or one specifically formulated for your pet’s breed, you’ll want to look further afield for the right dietary plan. This is where trusted online resources come in, such as VioVet, which offers both healthy and affordable pet food. Many pet stores and vets stock dietary food for numerous animals and breeds, which can include dietary plans for cats, dogs, horses, and birds. However, the choice offered by trusted online resources for specialist pet foods tend to be kinder to both your wallet and pet. There’s also the advantage that by ordering online, you can have your specialist pet foods delivered straight to your door whenever you need them. Great suggestion, I could not agree more. Its very important, especially in the tough economy. Hopefully things will pick up and become easier soon! Thanks for the great post. I do this too now, I always check the bag now and I go to a dog food analysis site I found online to check to make sure there is no cancer causing ingredients in the food too.